WARNING! When servicing disc brake calipers, DO NOT loosen the caliper half bolts or separate the caliper shell to access the pucks. Always refer to your Toyota Factory Service Manual with regard to rebuild or replacement procedures. 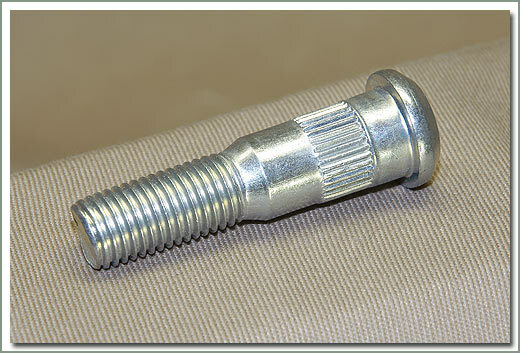 See page 221 for Factory Service Manuals. 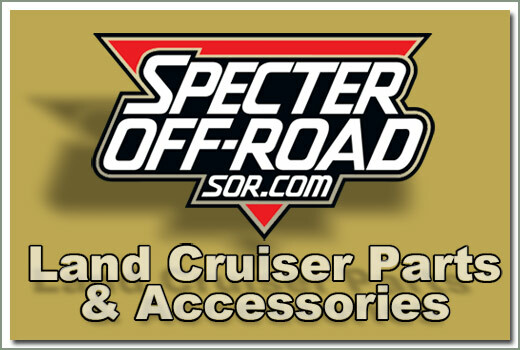 Specter has the answer for 7/70-9/75 FJ40 & FJ55 Models who are tired of not stopping straight. Front Disc Brake Changeover Kit. All parts are from later year Toyota Land Cruisers, not modified GM components, Toyota mini Pickup trucks or aftermarket manufactures who's service parts can be hard to find in a small town on a late Saturday afternoon. 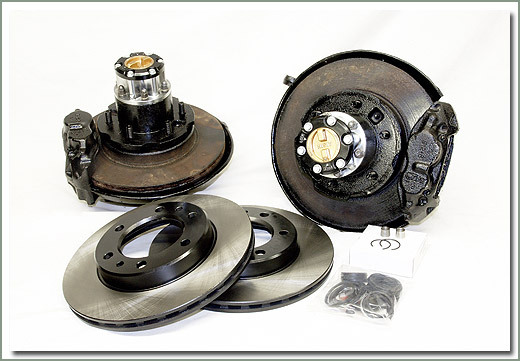 Later year Land Cruiser components give you the best of what the Land Cruiser Front Disc Brake Changeover Kit can offer:large wheel bearings, large heat treated CV axle assembly, large spindles, and large knuckles and vented rotors. On early Land Cruisers 1958-7/70 it takes major significant modifications to fit disc brakes on these Cruisers. 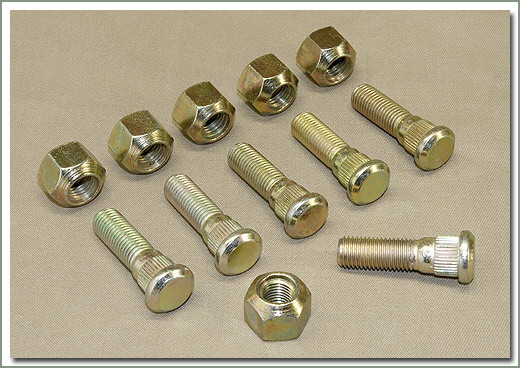 Firewall changes, pedal bucket modifications, differences in hard line fittings all add up to changes beyond just bolting on other year parts. On these models you will need to be your own engineer and fabricator. 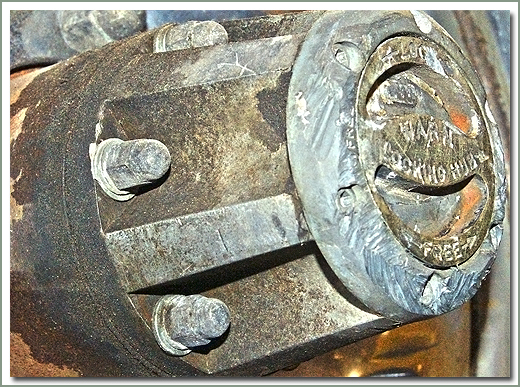 1958-9/73 Cruisers with stock riveted wheels, the hub of the wheel is riveted to the outer rim and will not fit the calipers. These will need to updated to the non riveted, later style, welded type wheel. 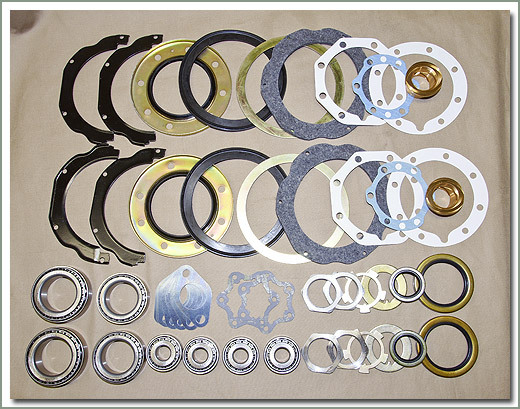 All SOR Front Disc Changeover Kits parts are from Land Cruiser axles only, not mini truck or some other vehicle.There are different kits offered for customers with different needs. Read the contents of the kits carefully. Used parts have been disassembled and inspected to be in good condition. 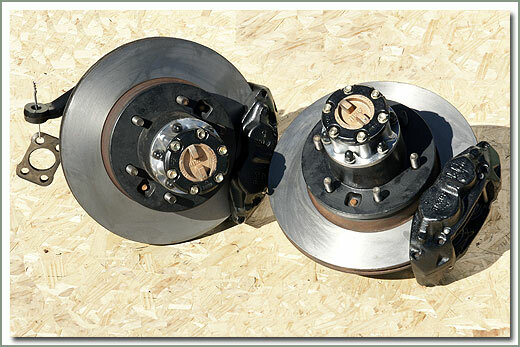 Installing disc brakes on a vehicle that was not originally equipped with them does require modifications. The installer assumes the responsibility to determine the suitability of these components for the intended application. 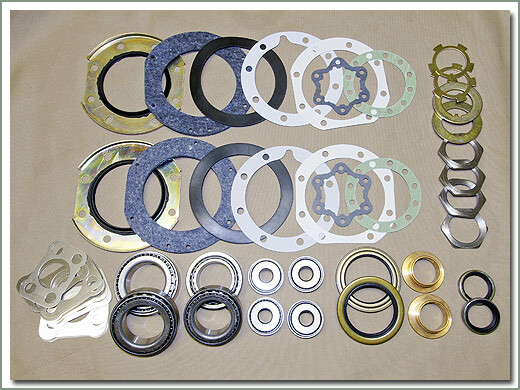 Depending on which kit you choose, you may also need to order: Seal #080-35B (qty 2), seals #080-59 (qty 2), shim & gasket set #080-40C (qty 1), lock tabs #080-04B (qty 2), and a hub socket #200-12B. Specter Off Road also suggests a new disc brake master cylinder #014-01D. Or if complete new bearings are desired order Disc Brake Bearing Kit #084-101A. 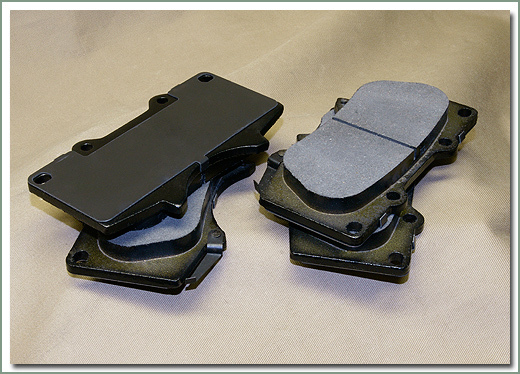 Fits 7/70-9/75 FJ40 and FJ55 - This kit consists of USED Land Cruiser axle parts from the knuckles out board. These are not Aftermarket or Chevrolet parts. 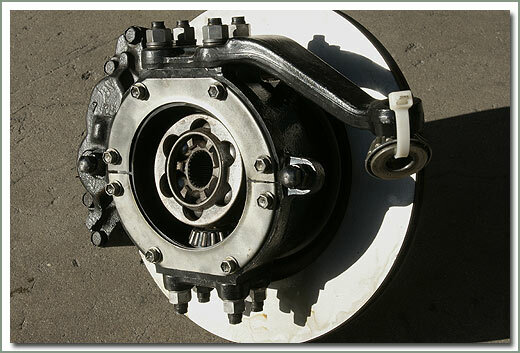 SOR offers only front disc conversions utilizing original Toyota Land Cruiser major components. 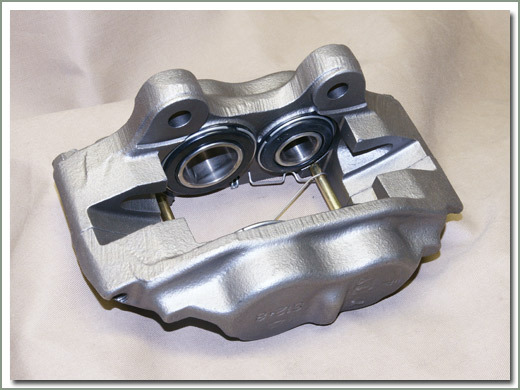 USED parts include hubs, spindles, knuckles, calipers and outer Birfield axles. 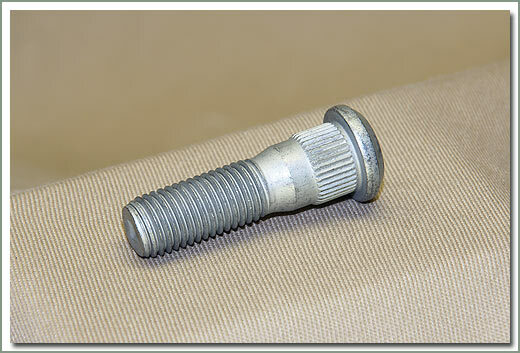 The USED parts are straight take outs that are cleaned and inspected. 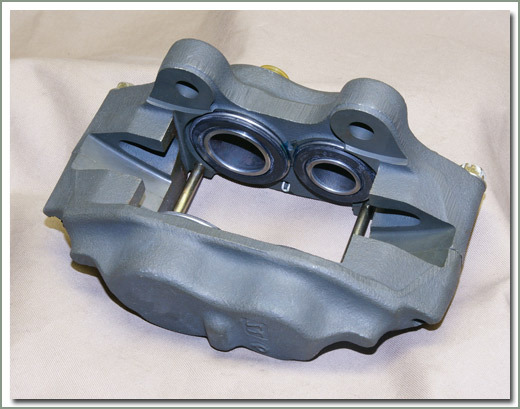 Calipers are considered cores that need rebuilding, or be exchanged for rebuilt calipers. NEW parts include our Backing Plate Eliminator Kit 084-19A-KIT, NEW aftermarket Rotors 084-02B-A and Caliper Rebuild Kit 084-04A. 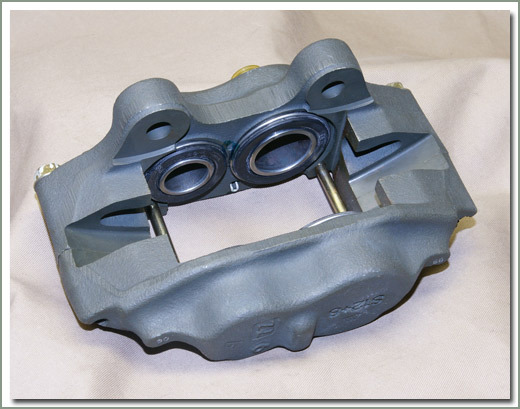 The USED calipers need rebuilding or use as cores for replacement calipers 084-02. 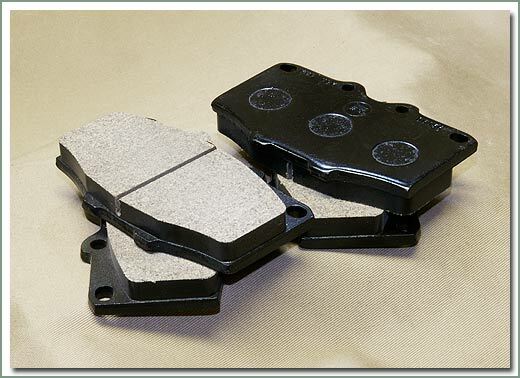 Brake pads are not included, order 084-03 separately. 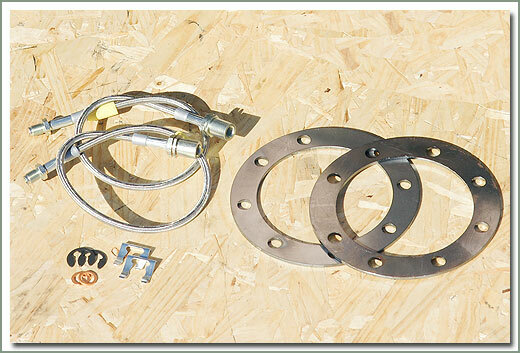 For a complete bearing and seal kit, order our Disc Brake Bearing Kit 084-101A. Depending on the intended application you may need a new Brake Master Cylinder and an aftermarket Adjustable Proportioning Valve. 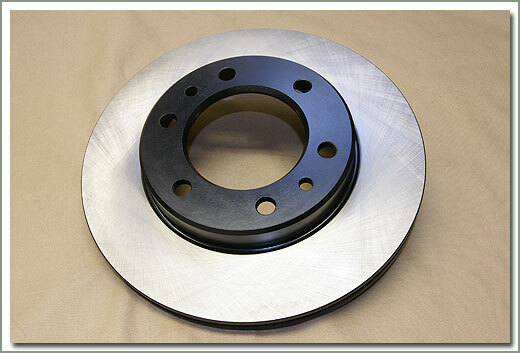 Installing disc brakes on a vehicle that was not originally equipped with them does require modification. 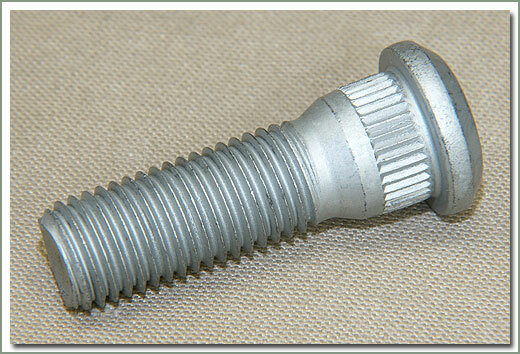 The installer assumes the responsibility to determine the suitability of these components for the intended application. 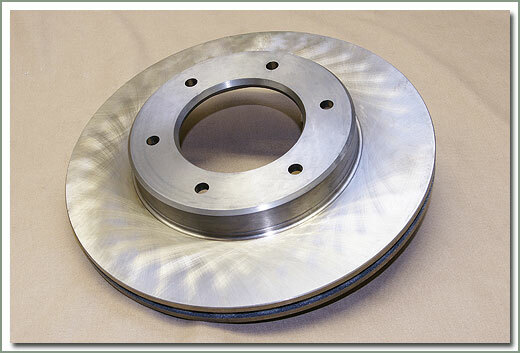 For Rear Disc Brake Kit see page 292. On Sale - Everyone gets the Discounted Price on this part. 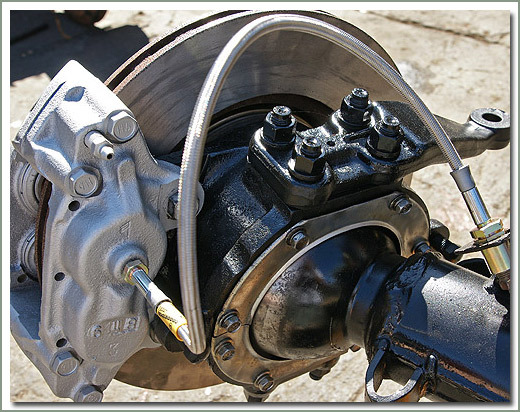 USED - Fits 7/70-9/75 FJ40 and FJ55 - USED parts have been thoroughly inspected and are in good condition - Comes with parts from the knuckles out, NEW OEM locking hubs, used spindles, used knuckles, used calipers, used disc brake pads, used outer birfield axles, new rotors, and a caliper repair kit - Does NOT come with #080-35B seal (qty 2), #080-59 seal (qty 2), #080-40C shim & gasket set (qty 1), #080-04B lock tabs (qty 2), and #200-12B hub socket, order separately - Specter recommends purchasing #014-01D disc brake master cylinder, and #086-60A proportioning valve - If complete new bearings are desired, see #084-101 - For Rear Disc Brake Kit see page 292. recommend new disc brake pads see #084-03. If you have disc brakes, or have a disc brake conversion kit that you purchased from Specter Off-Road, SOR offers a complete Disc Brake Bearing Kit. 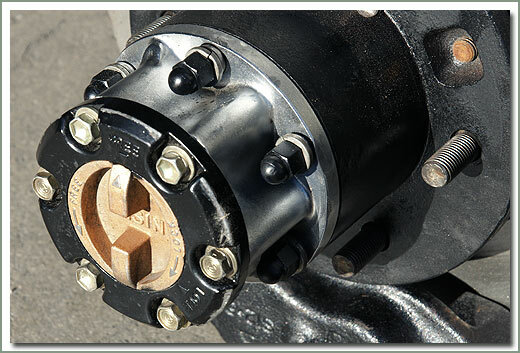 Kits are designed for your specific years and contain all the parts that wear and should be replaced. Perfect for that thorough rebuild, kit does both sides. Specter Off-Road only uses top quality automotive bearings in our kits that meet or exceed the original factory manufacturing specifications. You will find only quality bearings from American, Japanese or European manufacturers at Specter Off-Road. 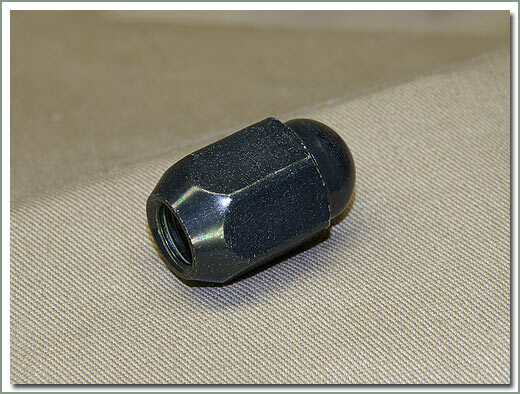 We here at SOR have noticed a number of less expensive bearings showing up in the Land Cruiser marketplace. 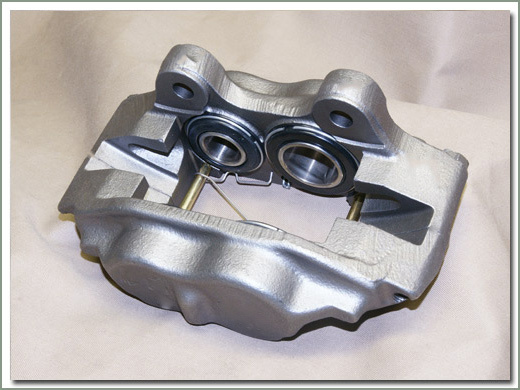 Several bearings we have inspected are much lower quality than the original equipment Toyota bearing. 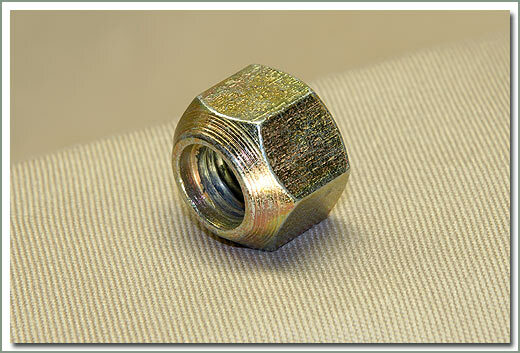 Insist on high quality replacement bearings for your Cruiser. 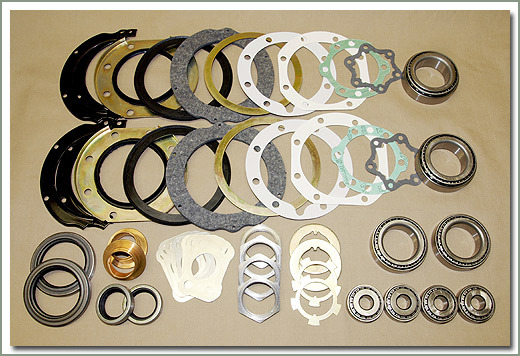 Fits 9/75-1/79 FJ40 & FJ55 - Includes gaskets, shims, Birfield seals, lock tabs, knuckle bearings, inner and outer hub wheel bearings and wheel seals - Does both sides. Purchase Locking Hub Kit separately. 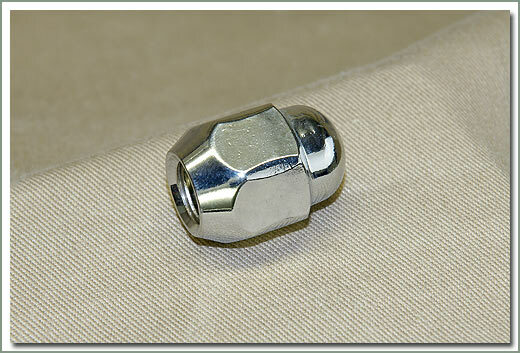 If you have Warn hubs order part #333-7309. If you have Aisin (OEM) Hubs and need the hub O ring seal, order part #080-89. 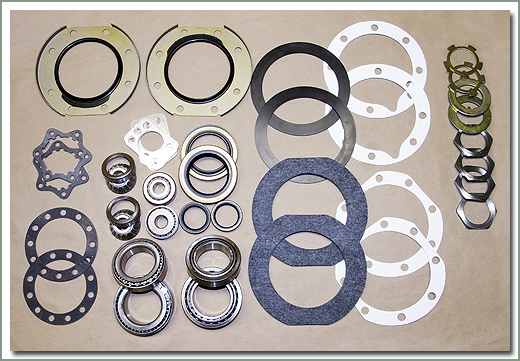 Fits 1/79-1/90 FJ40, FJ60/62 - Includes gaskets, shims, Birfield seals, spindle bushings, nuts and washers, lock tabs, hub gaskets, knuckle bearings, inner and outer wheel bearings and wheel seals - Does both sides. Purchase Locking Hub Kit separately. 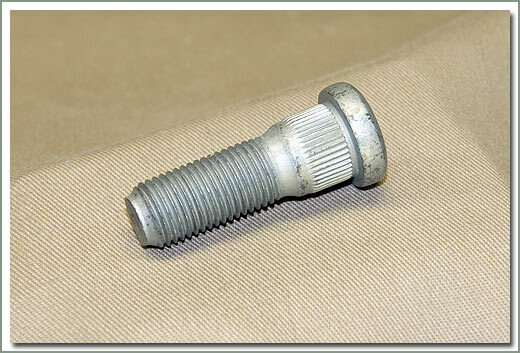 If you have Warn hubs order part #333-7309. 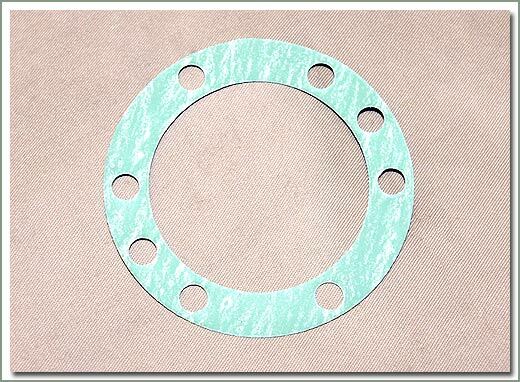 If you have Aisin (OEM) Hubs and need the hub O ring seal, order part #080-89. 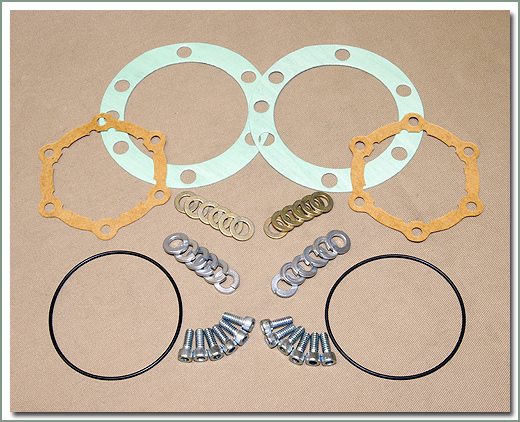 Fits 1/90-1/98 FJ80 - Includes gaskets, shims, Birfield seals, spindle bushings. 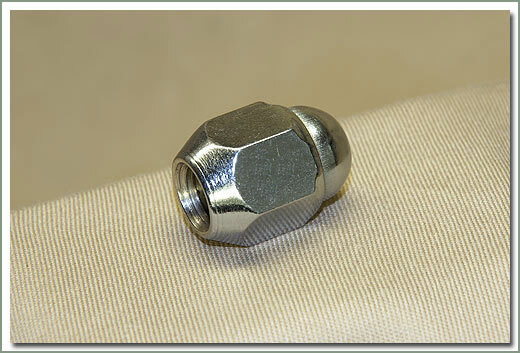 nuts & washers, lock tabs, hub gaskets, knuckle bearings, inner & outer wheel bearings and wheel seals - Does both sides. Fits 1984-1990 FJ75 - Includes gaskets, shims, Birfield seals, spindle bushings, nuts & washers, lock tabs, hub gaskets, knuckle bearings, inner & outer wheel bearings and wheel seals - Does both sides. Fits 1990-1999 HZJ75 - Includes gaskets, shims, Birfield seals, spindle bushings, nuts & washers, lock tabs, hub gaskets, knuckle bearings, inner & outer wheel bearings and wheel seals - Does both sides. 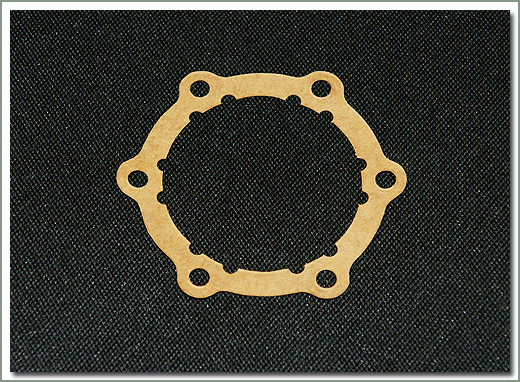 Fits 1/90-1/98 70 series - Includes gaskets, shims, Birfield seals, spindle bushings. 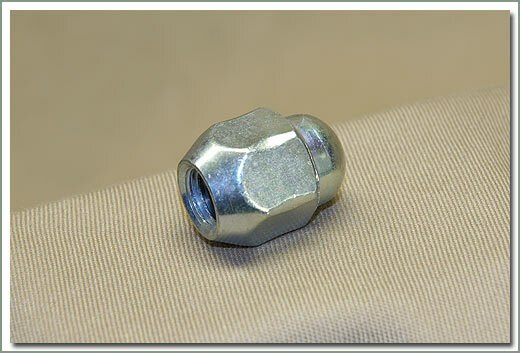 nuts & washers, lock tabs, hub gaskets, knuckle bearings, inner & outer wheel bearings and wheel seals - Does both sides. Purchase locking hub kit separately. 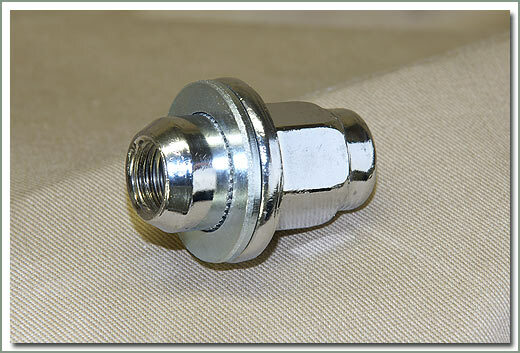 If you have Warn hubs order part #333-7309. If you have Aisin (OEM) hubs and need the hub O ring seal, order part #080-89. Are your disc brake dust shields bent and rusted? 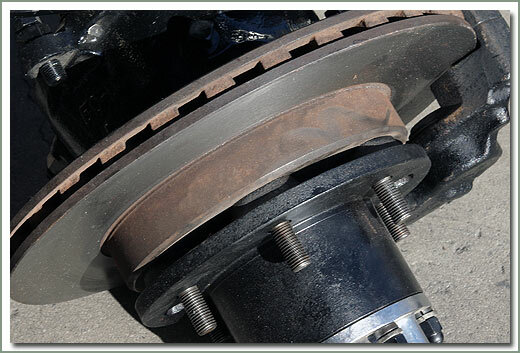 Are you tired of getting mud, rocks and debris between the rotor and the shield? 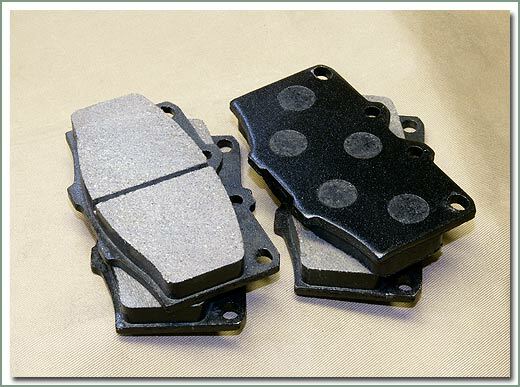 Eliminate your old disc brake rotor shields with SOR's Backing Plate Eliminator Kit. Comes complete with shims and braided stainless steel brake hoses. Kit comes with parts to remove the dust shields from both of your front knuckles. 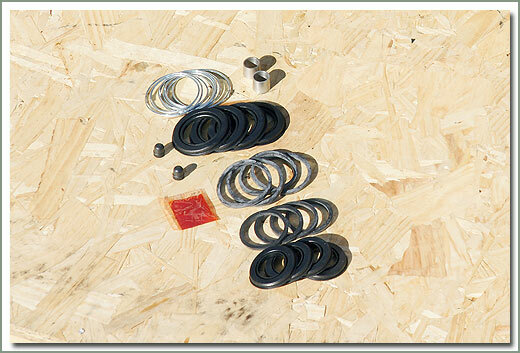 Order 080-590B seal kit for installation separately. Fits 9/75-1/90 - Kit comes with parts to remove the dust shields from both of your front knuckles. 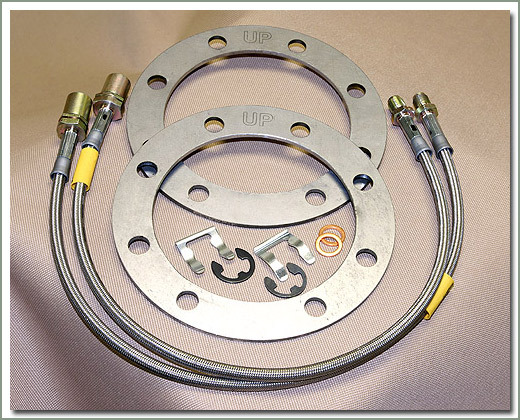 Order part #080-590B seal kit for installation separately. Some years may need to modify brake line mounting bracket. 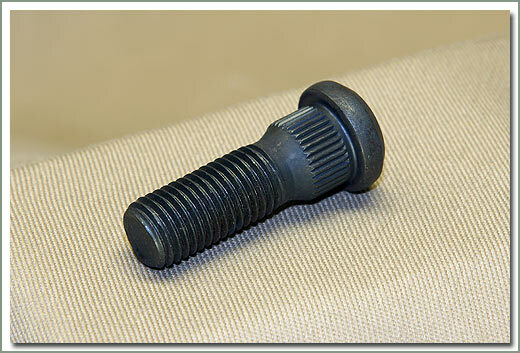 Specter now offers Disc Brake Hardware Kit. 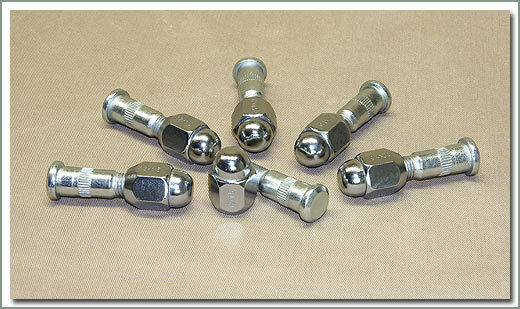 This kit contains #084-05A w-springs (qty 2), #084-06A w-pin (qty 4), and #084-07B brake clips (qty 2). This kit contains enough hardware for two disc brake calipers. 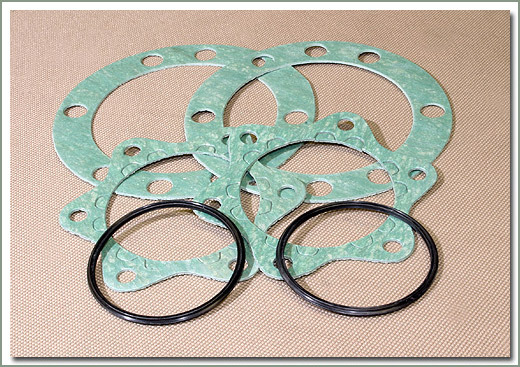 Kit includes gaskets and O-ring seals. One kit does both hubs. Remember to service your Aisin hubs when you repack your wheel bearings. Fits 9/75-1/90 OEM Aisin locking Hubs - Comes with gaskets and hub rings - One kit does both hubs. 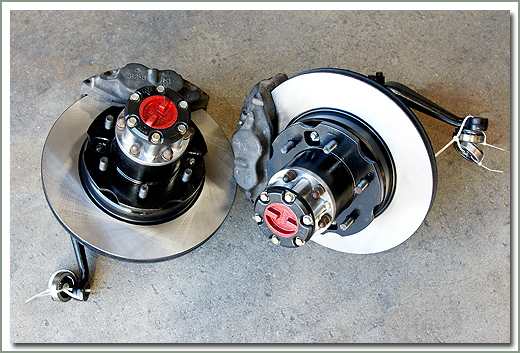 Warn Hub Service Kits come with everything you need to service your Warn Hubs. 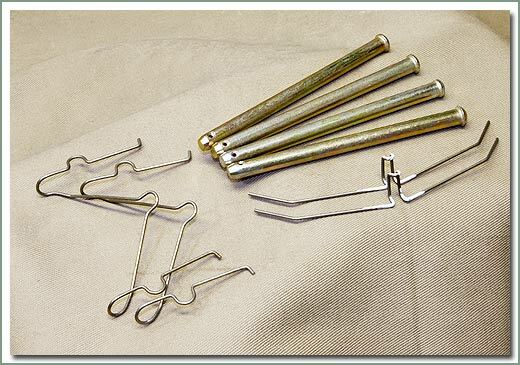 Kit includes gaskets, lock washers, and allen head bolts. One kit does both hubs. 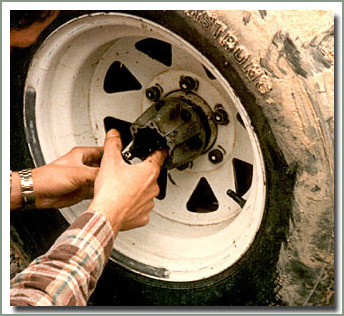 Remember to service your Warn hubs when you repack your wheel bearings. 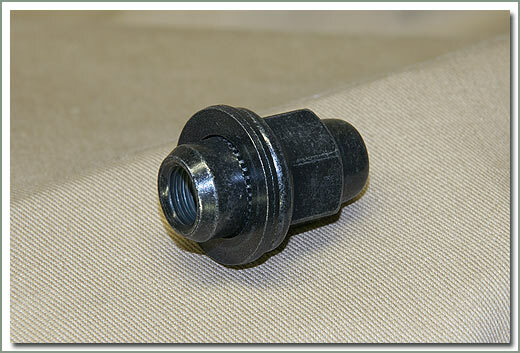 Early M47 Warn Hub Kits are not available, use hub gasket #080-05 (qty 4). 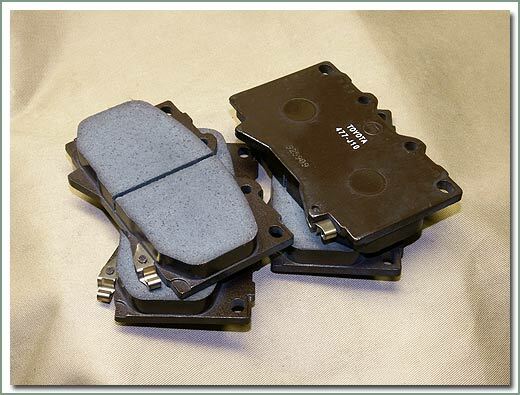 Specter now offers you a choice in Disc Brake Pads. We offer the O.E.M. 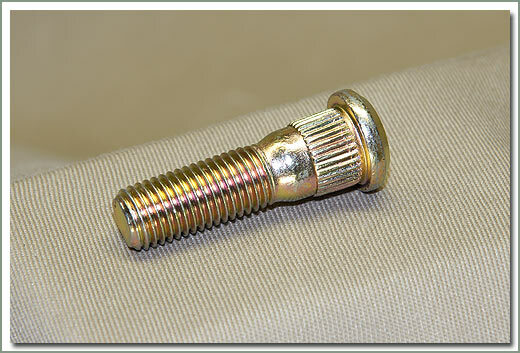 Genuine Toyota parts, which are semi metallic. 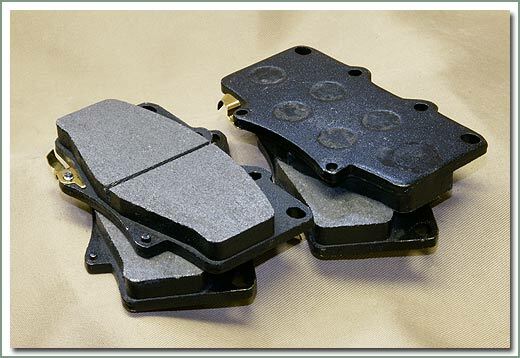 We also offer a choice in aftermarket disc brake pads, organic or semi metallic. Organic gives you longer disc rotor life, but tends to wear slightly faster than semi metallic pads. 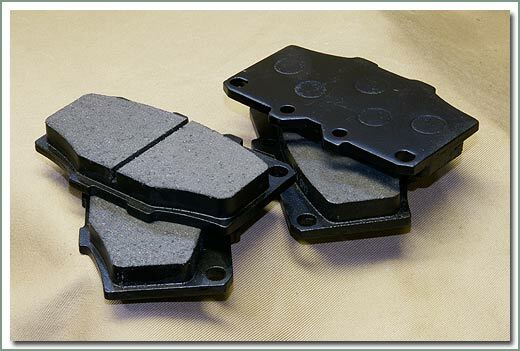 Organic pads give quick stop capability and work well when cold. 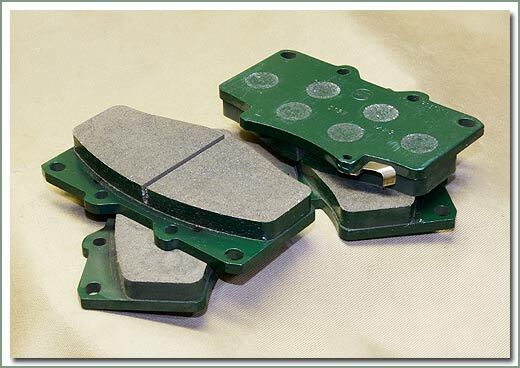 Semi metallic pads offer long life with greater rotor wear, but works well under extreme heat for extended use. 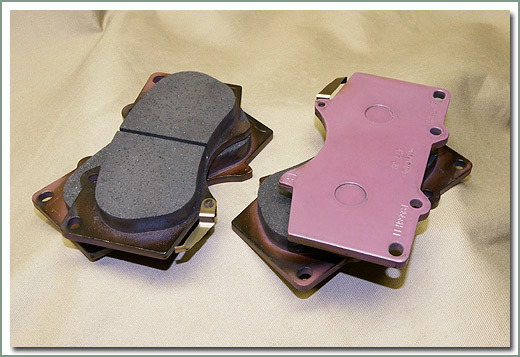 These pads are better for those of you who have a heavy braking foot. Fits 9/75-1/90 - Does NOT come with pads and spring. Includes pins and retainer wire. Fits 9/75-1/90-Does NOT come with pads and spring. Includes pins and retainer wire.